The May, 2017 edition of Scientific American featured an article on schizophrenia research by freelance journalist Michael Balter, entitled “Schizophrenia’s Unyielding Mysteries.”1 Despite the decades-old failure to discover genes that cause schizophrenia (as opposed to possibly being “associated” with it), Balter believed that continuing the search for genes is necessary to help unravel the “mysteries” of the condition, for the development of new “antipsychotic drugs” and other interventions, and to develop prevention programs. As I concluded in my 2017 e-book Schizophrenia and Genetics: The End of an Illusion, however, decades of failed gene finding attempts have produced a scientific finding that “genes for schizophrenia” most likely do not exist. Balter also discussed recent evidence pointing to the role of childhood trauma, poverty, and other environmental factors, and quoted Norwegian neuroscientist Roar Fosse’s call for “a stronger focus on changing the environment so we can prevent schizophrenia.” Balter’s general conclusion was that environmental data should be added to or incorporated into molecular genetic research, so that researchers can produce statistical models in support of their position that genes and environment interact to produce schizophrenia. Additional gene discovery claims have appeared since 2008, including one published in the prestigious journal Nature in 2014 in which researchers believed that they had identified 108 regions of the genome associated with schizophrenia.7 There have been other highly publicized claims, such as the Sekar et al. 2016 C4 “synaptic pruning” study, also appearing in Nature, which Balter discussed in some detail.8 Another group claimed that thousands of genes are “associated with” schizophrenia, and more claims will surely appear in the future. Despite having obtained “samples from more than 900,000 subjects” worldwide, coupled with the development of newer (yet controversial) techniques such as the genome-wide complex trait analysis (GCTA) and polygenic risk score methods, there have been no confirmed discoveries of genetic variants shown to play a role in causing schizophrenia or psychosis.9 Balter quoted a leading genetic researcher who admitted that “people working in the schizophrenia genetics field have greatly overinterpreted their results.” Researchers, laboratories, and universities are no doubt aware that public statements of discovery, optimism, and excitement attract more research funding, publications in leading journals, and prestige than do public statements of failure, disappointment, and frustration. Balter wrote that despite the news media’s tendency towards “overzealous enthusiasm,” given the historic “trail of disappointment” left by schizophrenia genetic research, media “hype” surrounding recent claims is “somewhat understandable.” On the contrary, because previous claims did not hold up, a healthy media response to new claims would not be enthusiasm or hype, but extreme skepticism and caution—similar to the “oh no, not again” skepticism and caution Peanuts comic strip character Charlie Brown responded with whenever Lucy van Pelt asked him to kick the football she was holding. The five corporations that control much of the U.S. media have an obvious agenda of promoting medical and genetic approaches, and dubious behavioral gene discovery claims, and of downplaying or ignoring the half-century history of claims that fell by the wayside. A parallel process occurs when the corporate media “hypes” wars, and other policies that favor corporate interests at the expense of people’s health, emotional well-being, and lives. In addition, psychiatric adoption studies are subject to several major environmental confounds and biases. These include (1) the selective placement of adoptees on the basis of a child’s socioeconomic status and perceived genetic background; (2) the shared birthmother–child prenatal environment; (3) late separation from the birthparent(s); (4) late placement with the adoptive family; and (5) that birthparents who give up a child for adoption, and the adoptive parents who reared them, are not representative of birthparents and rearing parents in general. It is therefore not true, as adoption study supporters usually claim, that these studies are able to make a clean separation between (“disentangle”) the potential influences of genes and environments. Surprisingly, Balter did not mention adoption studies in his article. 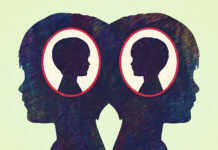 It is telling that the American Psychiatric Association (APA), which since 1970 has created nearly 30 “task forces” to examine various issues, has never created one charged with performing an in-depth critical evaluation of the methods and assumptions of psychiatric family, twin, and adoption studies. As the schizophrenia gene-discovery bubble continues to burst, the creation of such a task force would be the order of the day in a vibrant scientific field in a healthy society, but would be off-limits in a stagnant field corrupted by a cozy relationship with Big Pharma, in a similarly corrupted corporate-controlled government and society. Although Balter discussed the importance of environmental factors, and highlighted the controversies surrounding the EEA and the heritability concept, he left the leading role to molecular genetic approaches. The large graphic accompanying his article was about genes and molecular genetic research, not about environments. This suggests to the average reader that schizophrenia is a genetically based condition, in need of medical approaches to its treatment and prevention. Pictures and diagrams send powerful messages. Balter supported medical approaches while adding that environmental factors should supplement and be incorporated into these approaches. The genetic researchers whose work he highlighted believe that the failure to discover causative genes is a scientific setback. I argue that it is a cause for celebration, as society can now part ways with costly and diversionary genetic and medical approaches, and can instead focus on environmental causes, social interventions, non-medical treatment approaches, and prevention.19 This applies to other areas of psychiatry as well. The time has come to halt the massive failure that has characterized schizophrenia molecular genetic research, and to thoroughly reassess what critics have always said are the severely flawed family, twin, and adoption studies that inspired and helped justify this research. The evidence in favor of environmental causes, coupled with the lack of evidence in favor of biological and genetic causes, supports a psychological/sociological/environmental understanding of “schizophrenia” and psychosis. Although Balter wrote that the “biological basis” of schizophrenia “has long been an enigma,” it is better characterized as a century-old unsupported hypothesis that helps form the bedrock of psychiatric dogma. Although to his credit Balter gave more weight to environmental factors than most other journalists and commentators, he is in favor of continuing with attempts to identify predisposing genes. 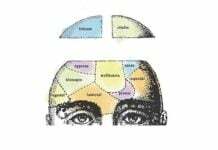 While these attempts are based on some researchers’ misguided belief that “social problems are biology problems,” the causes of the behaviors falling into the “schizophrenia” and psychosis categories are located outside of the body, not inside. Well, the first problem is that “schizophrenia” is a diagnostic wastebasket, rather than a disease unto itself. It’s no surprise that magic sources haven’t been found, because the group being studied is corrupt. There is a strange biological disease where nobody can find a trace of biology and there is also a strange ‘cure’ drug for this disease (also for bipolar, autism, dementia, ptsd, depression and probably everything else) – an antipsychotic drug. Thanks, Jay, for what you are doing. I actually really think that your books and articles have a significant psycho-therapeutic effect in a way by a example you can learn to think critical. And I believe a great critical thinking course is one of the antidotes for psychosis. Sometimes probably more effective then haldol. Critical thinking is ALWAYS more effective than haldol. Actually, everyone in the country should be required to take a multi-year course on critical thinking. Having been involved in research for over 40 years, I would have to say that the combination of investigator bias and the toxic influence of the research funding game, and more recently, the push by Universities to own and profit from every idea investigators have, make the “scientific method” highly dubious as a way to generate objective data these days. It will take many people like Dr. Joseph to continue to challenge these paradigms that no longer work. I prefer the word “neuroleptics” to “antipsychotics” since these drugs have never ended my painful thoughts/hallucinations. In fact they have triggered psychotic episodes. Recently I found out about tardive psychosis and wanted to cheer. I was right after all when I said the “antipsychotics” made me psychotic 23 years ago but no one listened. Thanks for the nice comments by Igor and others. Given that the “antipsychotics”/neuroleptic drugs can create what appears to the doctors to be the “negative symptoms of schizophrenia,” but which are actually the symptoms of neuroleptic induced deficit syndrome symptoms. And given that the “antipsychotics”/neuroleptic drugs can also create what appears to the doctors to be the “positive symptoms of schizophrenia,” like “psychosis,” but which are actually the symptoms of “antipsychotic” induced anticholinergic toxidrome. Thanks for this summation of where the genetic research stands. I was familiar with much but not all of this, so it’s good to know that someone like you is staying on top of it all. Valuable information indeed. Thanks Eric. And the story is similar for all other major psychiatric disorders. Thanks for calling out a very important component of the pseudoscientific atrocity that is psychiatry. Let these researchers waste their careers and research funding on this fruitless quest. The fact that no biological pathology can be demonstrated in connection to this “disease” makes the idea that it is the result of the expression of even many genes at once is clearly a fantasy. Find the pathology first, if you can, then try to find the genetics that cause it. It’s heartening that they are now throwing all these fancy “big data” bioinformatic algorithms at the problem and failing so miserably. That’s because the so-called psychiatric “diseases” are actually syndromes, collections of signs and symptoms that aren’t independent disease entities unto themselves, but that sometimes have identifiable causes that you won’t find by standard psychiatric means, but will find with proper investigation. Unfortunately the public remains convinced that there are indeed pathologies and biomarkers for schizophrenia, bipolar and other imaginary illnesses. Many laymen actually believe genes for these problems have already been discovered. Why anyone would believe that all or most cases of a “disorder” identified by behavioral or emotional characteristics would possibly yield genetic causality is beyond my comprehension. It’s like trying to find the cause of car accidents. Yes, they have the similar appearance of one car crashing into another. But they can be caused by sleepy drivers, ice, poor road signs, aggressive driving behavior, distractions, mechanical malfunctions, and on and on. To postulate that EVERY car crash is caused by something wrong with the car is idiotic. Similarly idiotic to suggest that a particular behavior pattern MUST always be caused by some kind of genetic fault in the person engaging in the behavior. Unfortunately, facts don’t seem to deter these fanatical researchers, because they just KNOW they will find a genetic cause because it HAS to be genetic because, because, well, you know, SCIENCE! Now that we researchers in nutritional mental health (cf ISNPR.org) have published data demonstrating resolution of symptoms in psychotic disorders (1, 2), the genetics people would do well to re-visit their topic with a focus on brain metabolism, and determine which genes influence availability of cofactors for optimal enzymatic function. Hello Bonnie. Thanks for your reply and the references to your work. With all due respect, I still maintain that in searching for and understanding the causes of psychosis and emotional distress, we must look outside of the body, not inside. Your research and writings are invaluable; please know that many people are educated and inspired by your work. And I very much appreciate your above response to Bonnie. This emphasis by some researchers on the so-called preventative and curative nature of better nutrition, can become as distracting and misleading as those who are presenting the genetic/disease based theories. Both approaches misdirect people away from any type of critical analysis of the gross inequalities in the world that serve as the basis for trauma and highly stressful daily human experience. It seems basic to our humanity that physical health (especially nutrition) directly affects brain health and that “brain health” directly affects “mental health.” However, after basic physical needs are met, it is far more human to advocate that distressful experiences cause emotional suffering rather than maintain a singular focus on physical health (either nutrition or exercise) and ignore the social experiences of the disenfranchised. Hi Jay, would you care to comment on the relationship between genetics and epigentics in this regard? I ‘hear voices’ which to the brain are stimuli that gain significance and steal mindshare. (in fact, the unusual stimuli presented in the phenomenology extend to much more than heard voices) . Regardless of their origin, my brain/body produces an emotional reaction, my mind (exec function) tries to respond to that and find an interpretation as it assesses the implications. These transactions are wiring the brain. The competing stimuli (they compete with ordinary, everyday stimuli) change my perception of whatever I am busy with or thinking about because they provoke a reaction/response. Depending on how I interpret them, they change my concept of self and my concept of the world (and my frames of reference that make up my concept of the world). I posit that this relationship between my concept of self and how I project myself and my perception of opportunities into the world is what makes up epigenetic expression. I would expect psychosis to affect the expression of my genes, since the anomalous stimuli are enduring and competitive. This turns causality on it’s head – I say voices are causing psycho-social issues… and that we may be able to measure it in how our genes are expressed. Which may add to the confusion of genetic studies. I do not focus on epigenetics because, as I wrote in an earlier comment, in searching for and understanding the causes of psychosis and emotional distress, we must look outside of the body, not inside. Internal processes, even if relevant, distract from addressing the outside causes. To better understand this point, just think of any type of mistreatment or oppression that people experience or suffer. As one example, if a child is bullied at school, we must focus on stopping the bullying and creating a bully-free school environment. Studying the bullied child’s brain and genes would be a distraction from making the necessary changes in the environment. There are countless other examples.